I’m excited to be a part of 3P because I feel that it is an organization that will be able to have realistic and sustainable impact on the people of Haiti. I think that this group is capable of real change that can help the overall health of the Haitian communities. 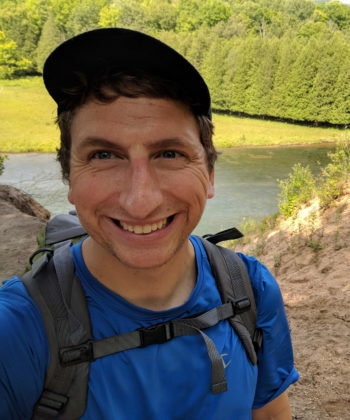 In addition to my job as a science teacher at Heritage High School in Saginaw, Michigan, I’m a cross country and track & field coach, an adjunct faculty member at Saginaw Valley State University, and the youth group leader for the Church In Drive. In my free-time, I enjoy spending time with my wife and puppy. I go for the occasional run and enjoy the outdoors. I’m also big into Dungeons & Dragons, playing with a few different groups of friends. I have also been on several international trips visiting locations like Jamaica, Costa Rica, Ireland, China, Japan, Taiwan, and Poland. I’m excited for 3P to become a tool for the people of Haiti to improve their own quality of life. I think that through proper health education, the people will be able to live healthier and more prosperous lives.